Fifteen-year-old Illinois based pianist composer Emily Bear is enjoying a level of success any musician her age could ever dream of. WBGO’s Ang Santos sat down with the talented young artist to talk about her latest release of original jazz compositions. 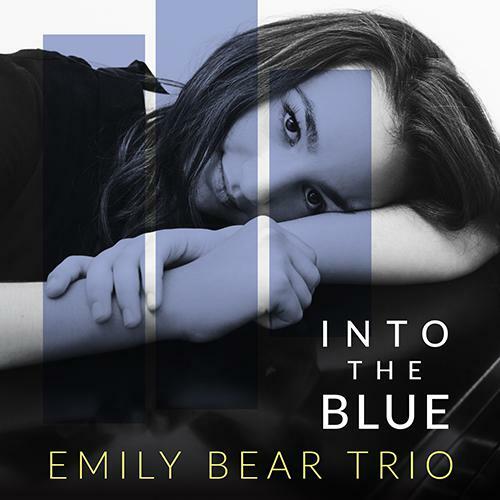 'Into the Blue' is Emily Bear's latest recording of jazz compositions. The opening track to Emily Bear’s latest release, “Into the Blue” earned her a Herb Alpert Young Jazz Composers Award, presented by the American Society of Composers, Authors, and Publishers to honor talented young jazz artists during the earliest stages of their careers. Not the most complicated way to come up with a tune, but that’s the story of Emily Bear’s undeniable talent. Spontaneous, but with purpose. Emily Bear says her latest record “Into The Blue” is dedicated to Quincy Jones, the producer of her previous album. Emily Bear performs at the St. Ignatius of Antioch Episcopal Church in New York City on Saturday. One of ten composers commissioned to create music for the event. Bear will present the first choral piece she’s ever written.